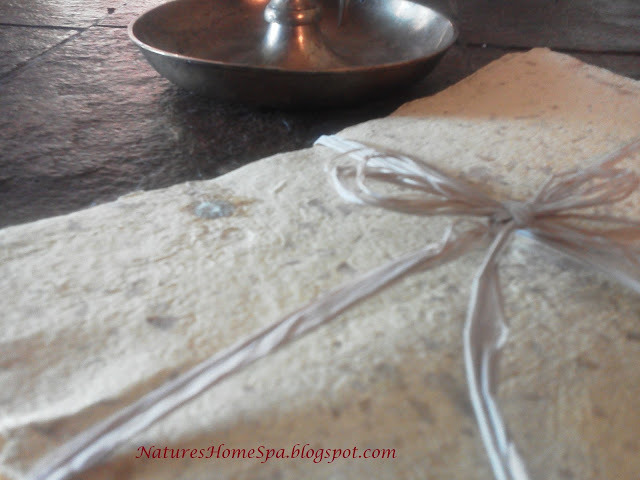 I love to make handmade paper using botanicals, expecially roses. 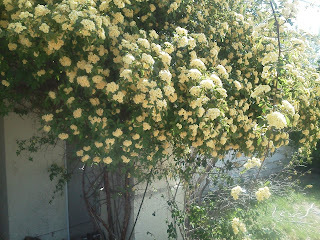 It blooms one time a year, in April for several weeks. It's blooms in clusters and is absolutely stunning to behold when in full bloom. I wanted to prolong it's beauty, so I made paper from it's blooms. You can see the small rose petals embedded in this paper. Making your own handmade paper consists of recycling paper by making it into a pulp, adding botanicals, or spices, or bits of fabric, of your choice, or leaving it plain. There's room for alot of expression here ! printer and the ink would not feather. Beautiful handmade paper! My favorite roses are the yellow ones. I´ve liked them the best since I was a child. I have been making my ovn paper probably when I was 10-13 years old, so that is a long time ago. Kirppu, thanks! 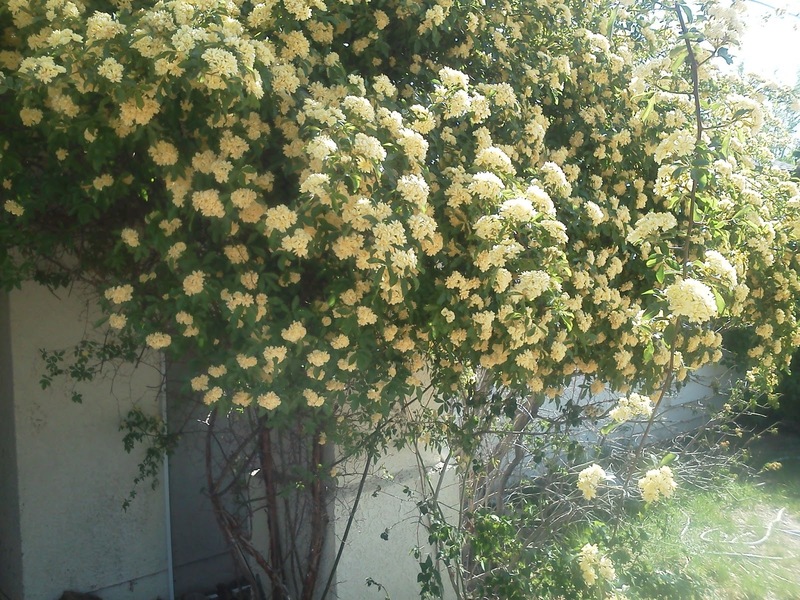 My favorite roses are yellow ones too! 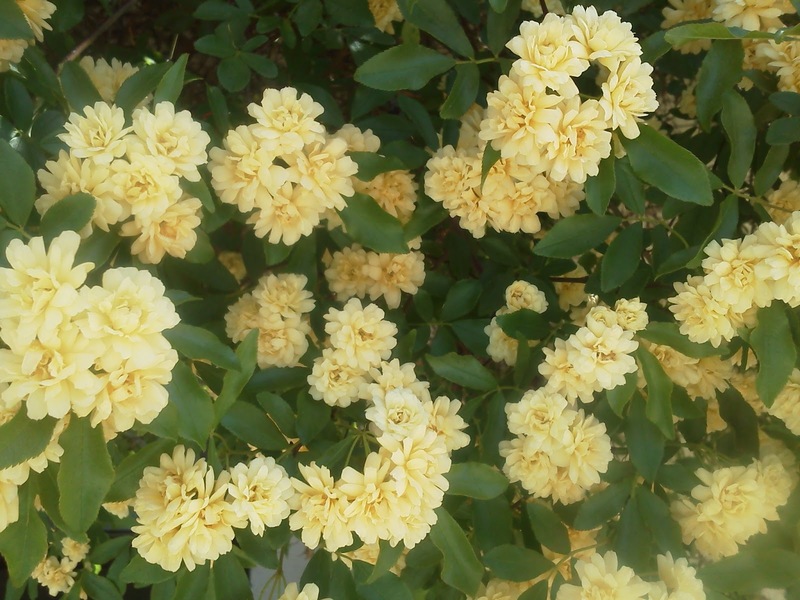 I have several different kinds of yellow rose bushes in my yard. I'll be making paper from some of the larger blooms as well. Wow your rose bush looks so amazing! I love that paper, it looks very elegant! You have a real eye for the colors and textures going together. Yellow is such a sunny, happy spring color. I love making paper flowers- they are so easy to make and add so much beauty to your projects.Wow pretty interesting. Love this.